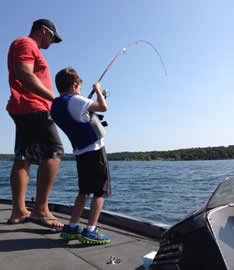 Professional Fishing Guide Service on Table Rock Lake, Bull Shoals Lake and Lake Taneycomo in Branson, MO. 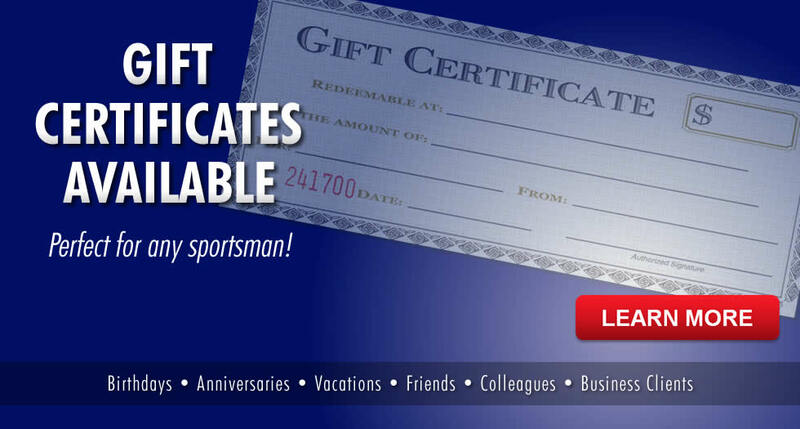 Come spend a day on the water with a true professional. 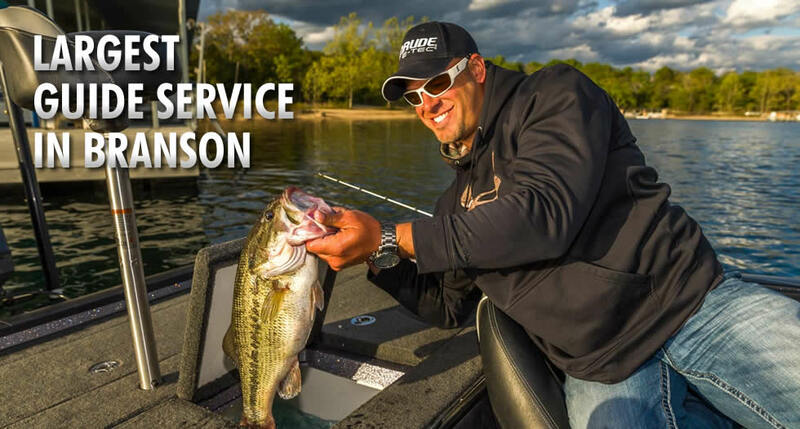 Elite Guide Service is run by FLW Touring Pro Eric Olliverson. 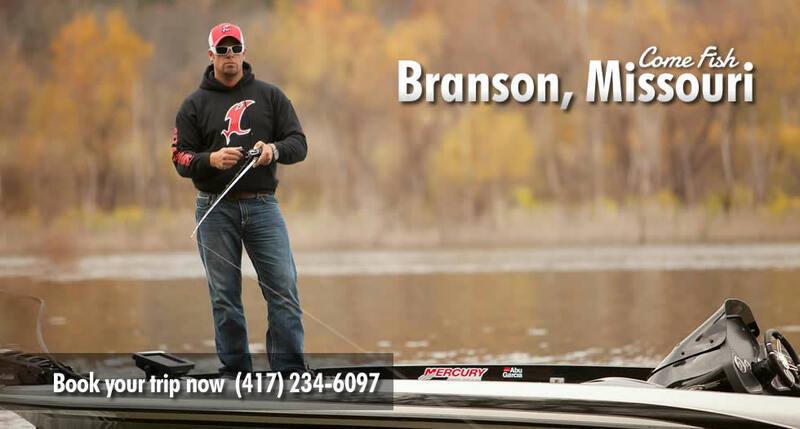 Eric has made his living guiding and fishing full-time on the waters of Table Rock Lake, Bull Shoals, and Lake Taneycomo in Branson, Missouri all of his life. Elite Guide Service will provide you a top quality guided fishing trip that will surely be remembered. 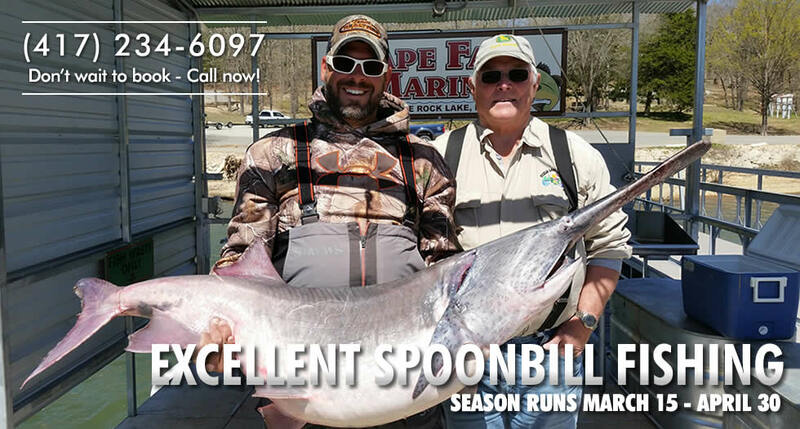 Spending over 250+ days a year on all 3 lakes ensures my clients will have a fantastic experience whether it is bass fishing on Table Rock Lake and Bull Shoals or trout fishing on Lake Taneycomo. New in 2016 is our Bowfishing trips. Bowfishing is all the rage and is sweeping the nation. 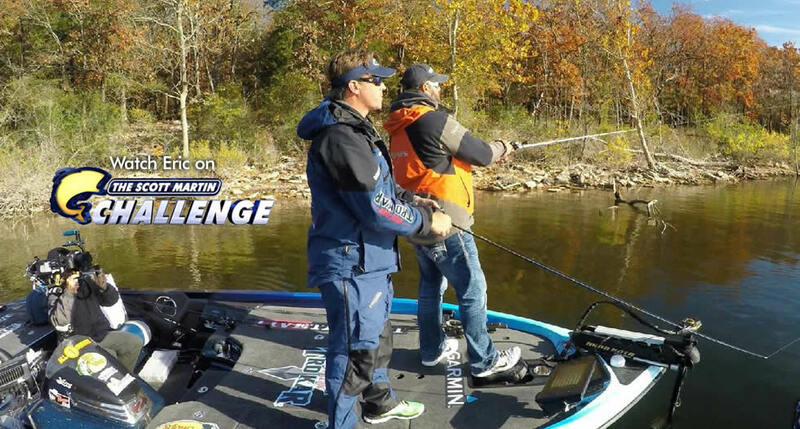 Southwest Missouri and specifically the Ozarks (Table Rock Lake and Bull Shoals) is already seeing steady growth in this up and coming sport. We have already seen several bowfishing tournaments in the area, which is encouraging for all you are interested in the sport. 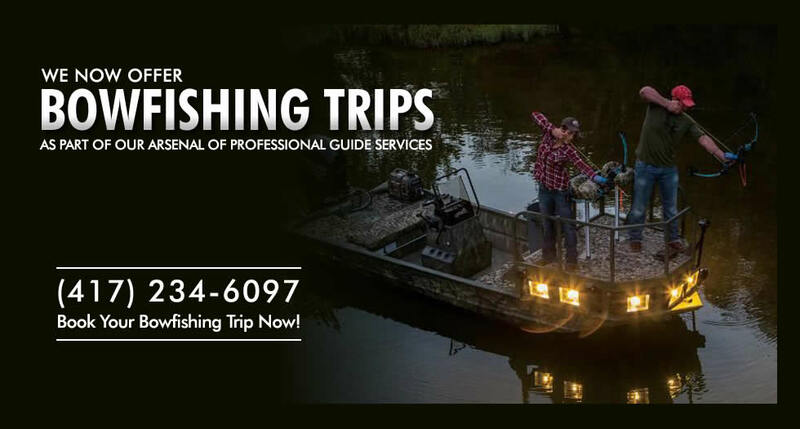 Although Eric is best known for his FLW touring and professional guiding on area lakes for all sorts of bass, crappie, and spoonbill, something you might not know is Eric is a fluent trout fishing guide. And why not! 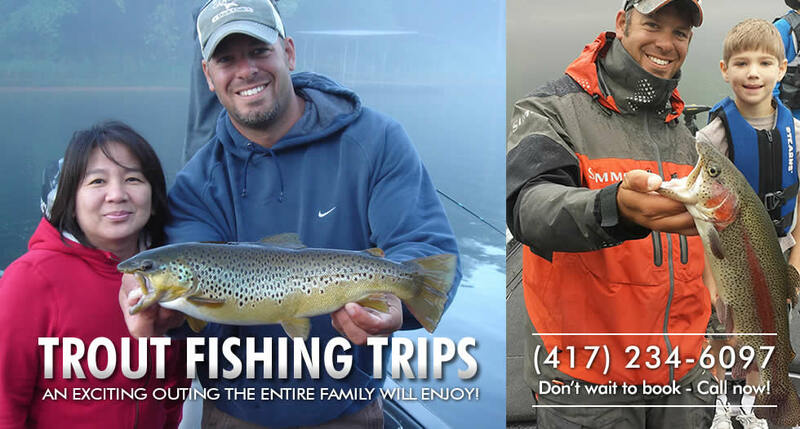 With one of the most awesome trout fishing spots in the country (Lake Taneycomo), Eric loves to take families and individuals out for some brown or rainbow trout any day of the week. Table Rock Lake is a gorgeous, deep, clear lake that provides excellent fishing for all species. 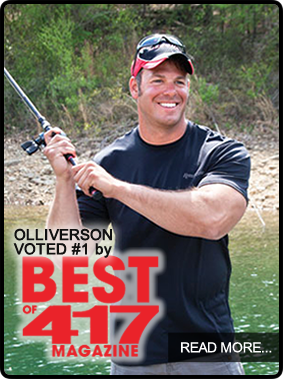 It is rated one of the top 10 bass fishing lakes in the United States. It is also known for outstanding year-round fishing and has a great abundance of all four species of bass (largemouth, small mouth, spotted bass, and mean mouth bass). The springtime (May-Sept) has some of the best deep water fishing available. 30-50+ fish days are not uncommon throughout the summer months. Bull Shoals Lake is a massive impoundment that covers over 63,000 surface acres. This enormous body of water that borders Missouri and Arkansas offers fantastic fishing year-round. Bull Shoals is virtually an untapped Walleye fishery. February – June is the best time to target these great fishing and great eating fish. Most people don’t realize that our lake record is over 22 lbs.! 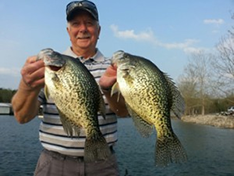 Crappie is also a great staple here in the springtime. Many limits of 15″-17″ crappies are not uncommon. Bull Shoals is also known for excellent bass fishing. Just like Table Rock, Bull Shoals has all 4 species of bass and also offers some of the best winter-time fishing in the country. Added to our arsenal of guide services for 2016 is bowfishing. Book a bowfishing trip with Eric and learn how to shoot a barbed arrow from a specially equipped bow and boat and land that big carp or gar. You’ll learn all of the necessary techniques for locations, depths, and aiming. Whether you’re an experienced archer and have always wanted to give it a try, now is your chance. Hunt for bluegill, green sunfish, carp, carp-suckers, suckers, buffalo, drum, gar, and all other species not defined as game fish.